Leave a Happy Plate: Red Sangria Recipe + New-found Celebrity Status?! 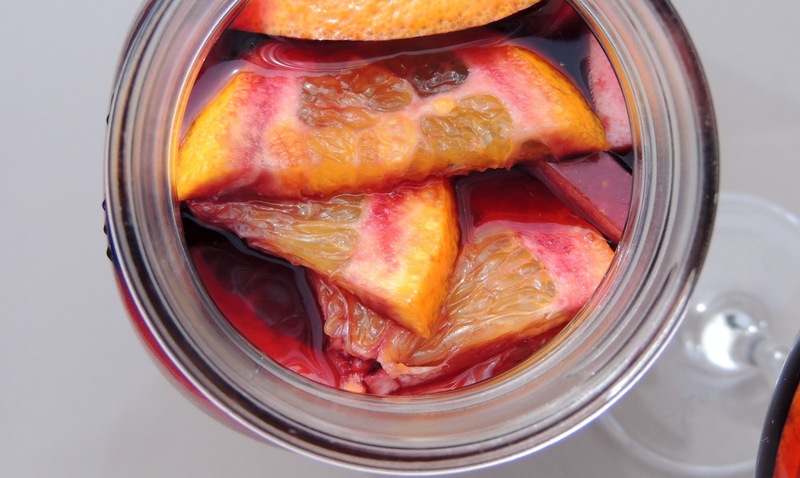 Red Sangria Recipe + New-found Celebrity Status?! In case you were wondering, I am now a celebrity. Well, maybe just a local celebrity. Actually, nobody knows me at all. But this is a start! One of my recipes (Indian Spiced Hummus) was printed in this month’s edition of Bella magazine! I was so excited when I got the email saying that my recipe would be included, I started jumping around at work. A few people thought I was crazy, but I didn't care. As you may or may not know, wine is my favorite adult beverage. And not surprisingly, I love sangria. It's a fun way to infuse some extra flavor into your glass of wine or cocktail! Serve in large wine glasses topped with ice and topped off with some club soda for an added fizz, if desired.